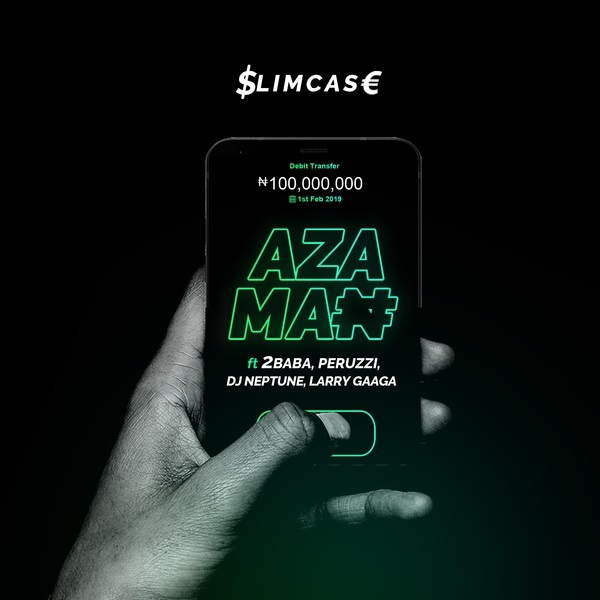 Saint Sami Ganja, Slimcase drops a brand new potential single dubbed ‘Azaman’ featuring 2Baba, Peruzzi, DJ Neptune and Larry Gaaga. After a successful 2018 with singles and collaboration with Wizkid, Tiwa Savage and many others. Fast-rising Afropop artist, Slimcase kicks off the year with a club banger titled “Azaman” featuring Legendary Nigerian superstar, 2Baba, Peruzzi, DJ Neptune and Larry Gaaga. Finally, “Azaman” is all about positivity and fulfilling the responsibilities of a real man. With production credit from Cracker Mallo. Mixed and mastered by STG. Video out shortly! !